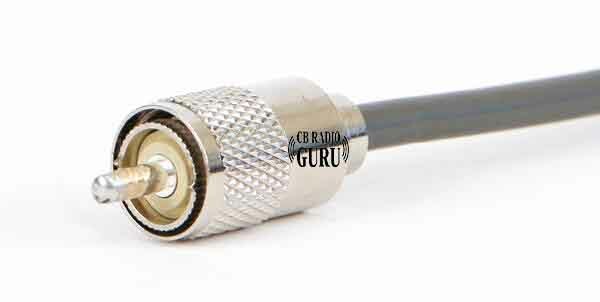 There are a number of CB radio coax cable manufacturers who produce good quality cables. Picking one from these cables may be difficult for you. However, with deep knowledge in this area, you’ll be able to pick the right one. CB Antenna cable or Coax cable, which establishes the path for signal transmission, plays an important role in the performance of CB radio. If you involuntarily make a poor choice, not only your cable will suffer, your CB radio won’t operate. Some poor-quality cables can fry up your radio as well. This is why it is very very important for you to get the best in quality Coax cable for your CB radio/antenna. Let’s look at the things you need to keep in your focus before buying the cable. There are many things to consider when you are looking for good CB radio cable. We’ve noted down some of these for you. 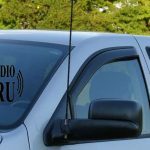 One thing about CB radio coax is that it loses signal power for every meter. When you are buying CB coaxial cable, you need to thoroughly check the product description. Look for CB cable wires that provide lesser and acceptable amount of loss per meter. This feature can help you a lot in distinguishing between cables. You can easily detect which cables can stand tough when exposed to damage and which cables can lose their worth. It is very important that CB radio antenna coax cable is manufactured from highest quality materials under highest standards. Materials comprised of copper, aluminum, and polyethylene. Cheap CB antenna wires are made with low-quality materials or are not manufactured under high standards like high voltage test. This is why the materials are more susceptible to rust and corrosion in case of exposure to water. This quality vs quantity debate may be centuries old, but, for CB coax cable, it’s worthy enough to make us ponder over it. If you buy cheap CB antenna cable, you would have to buy again only after a few months. Invest your money in this valuable asset without which your CB radio is unable to operate. Before buying CB radio coax cables, check if it’s compatible with the radio in your car. Other things to look for after the purchase is the cable length. No, you don’t need to keep that heavy twisted thick wire under your coffee-stained seat. Cut this thing according to your need! You may have seen people advising, “always keep that hair short!” when zombie apocalypse shatters in the city. Just like that, we advise you to keep the cable length as short as possible, just how much you need. The more the twists and lengthy CB wire is, the more power loss it encounters, resulting in low-quality signal transmission. Connectors play an important role in the proper and high-quality transmission of the signal. Prior to coax cable purchase, make sure these can perfectly connect with antenna and CB radio. If you happen to purchase coax cable with low-quality connectors, there are chances for the water to enter through those cheap cables. This is responsible for corrosion and rusting of cable material. Corroded and rusted cable interferes with a quality signal transmission. One other feature to look for in your CB antenna wire is stranded center. Many coax cables provide solid center wire which, if damaged, loses its ability for transmission. The cable becomes useless and cannot carry any signal. The stranded core has many wires smaller in size which are used as backups. If anyone of it damages or breaks, you won’t be throwing the cable in your garage. Those undamaged smaller carrier wires will be sufficient for the signal to pass through. With so many brands to choose from, we don’t want you to become indecisive. 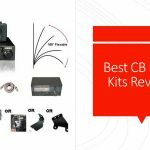 That is why we’ve arranged some of the top CB coax cables to buy for your antenna-radio connection. TruckSpec has a high reputation when it comes to CB accessories and assets exclusively designed for truck drivers. This 18’ product, RG-58A/U coaxial cable, has molded PL-259 connectors for protection against moisture. It’s for using with single CB antenna SO-239 stud mounts. This coax cable has about 95 percent shielding coverage for the protection of RF leaks and interference. Stranded center conductor for flexibility, perfect for CB, Amateur and Two-Way Radio Applications. This cable is perfect in its length, works absolutely great and well enjoyed by the majority of the customers. However, some may find the diameter of the coaxial smaller. Has quality connectors, if not damaged in shipment, and works great even in a tough environment. This product is RG58/AU cable with a stranded center, protecting against signal loss. It is 3ft long and has soldered PL-259 connectors on both ends. 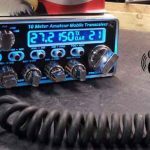 Absolutely great for CB, Amateur Ham Radio and 2 Way Radio Hookups. Also, a great product for two-meter use. This is 50 Ohm coax cable with SWR in an acceptable range. This is massive 18 foot CB & Amateur radio Antenna Coax Cable having PL-259 Connectors. 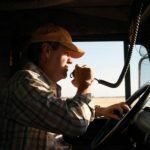 The coax cable is best suitable for connecting your CB Radio through your truck, RV, or tractor trailer. The connectors are designed to help against moisture. For use with single CB antenna SO-239 stud mounts. This product has good strain relief at ends and has superb reception. 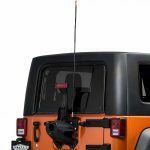 When it comes to dual antenna lookup, the SWR can be adjusted or tuned to much lower value. However, you have to be careful when you’re tightening it. Connectors can be broken while attaching it to antenna side if not handled carefully. On the safe side, keep a backup with you. Made in the USA, this RG-58 A/U Fire-Flex is 18 feet fire-ring coax with a stud. The Stud mount and hardware is stainless steel for protection against rust. It has low-profile fire ring connector. The good part about this product is that it is easy to use and durable. This is an extremely good coax cable for trucks or cars that have very small amount of space under their antenna mount. It is flexible, versatile and perfect for running in the car/truck. This 18′ wire helps you in maintaining the SWR. If you join/couple it with a 4′ FireStik’s cable, you may be to attain around 1.1/1.2 to 1 SWR for all 40 channels. Choosing right CB radio antenna cable is critical for proper signal transmission. This makes it necessary for you to look for good coax cable judging on features like RF power loss per meter, material quality, or stranded center. This way, you can enjoy great reception quality driving in your car, communicating over your beloved CB radio.